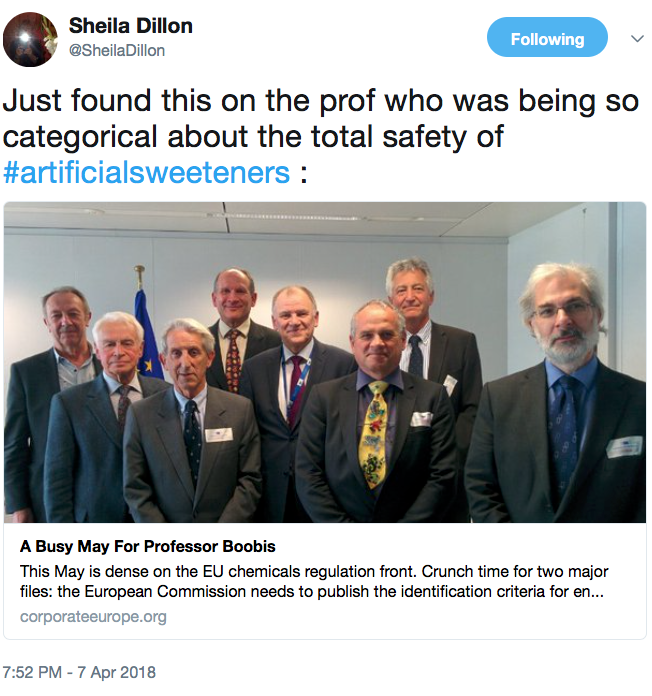 It’s vested interests such as these that are preventing us from tackling potentially catastrophic threats our food system, as outlined in my previous blogpost in this series. They’re not just putting stresses on the environment and its scarce resources. They are also creating crippling economic costs on local social systems too. The most powerful of these vested interests are supranational corporations manufacturing and purveying highly profitable edible or quaffable products with zero or close to zero nutritional value (but for calories in some products). Here in this city of Birmingham, Mondelez run a Health for Life programme which ‘touches’ (their word, not mine) over 60K primary school children and their families in south Birmingham. And I recounted a conversation I’d had at an InnovateUK-led Knowledge Transfer Network meeting here in Birmingham among university and ‘industry partners’. Inevitably, most of them were from the supranational corporations on the Forbes 2017 list of the world’s most powerful companies in the food and beverage sector. It was a weird conversation with a bright, highly-educated (to post-doc level), well-meaning young woman keen to make the world a better place. She worked for a large confectionery company (my memory fails me which one). She explained to me she wanted university research to enable the company’s manufacturing processes to increase the nutritional value of their products and, I quote, make them pass more slowly through the alimentary canal. I couldn’t help but think of my then-infant grandchildren’s healthy alimentary canals (about which I had more than a passing acquaintance). Nor ask her what was the point of trying to make a chocolate bar have the same physiological response on a ‘consumer’ as a sprig of broccoli. What are our Government and our universities doing in encouraging this kind of research? And what effect does such encouragement have on the likes of this young woman whose careers (and incomes) are predicated on the assumption that such endeavours are a worthwhile use of their efforts, talents and education? Note, too, that every grant that the world-wide Mondelez Foundation give out is on healthy living, or healthy eating. Take a look at this link; the Save the Children Fund, what are you thinking? It’d seem similarly to Birmingham City Council. Mondelez was the partner for Tata Foundation Nutrition program in India, recently replaced by Mars on Ratan Tata’s retirement from the Mondelez Board when he became ‘Special Advisor’ to the Chairman and CEO. 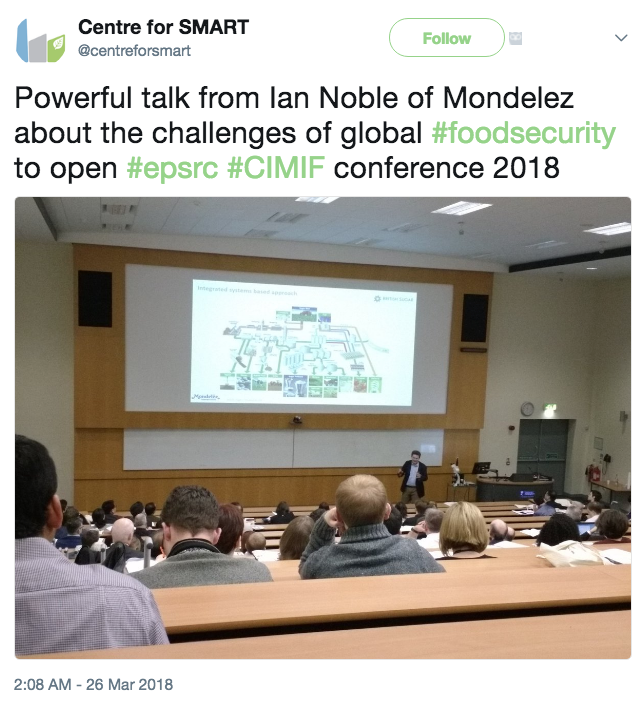 I’m off to the Belfast Global Summit on Food Integrity the end of this month. Yay! Yet here at this conference, too, there’s a role for one of these supranational corporations — the PepsiCo’s Senior VP of Global Research, Dr Ellen de Brabander is one of the keynote speakers. The link in her tweet goes to this article. There is an explanation as to why, when pushed, the soft drinks industry, PepsiCo included, embraced the sugar tax. In the end. Better such a diversion (dealt with by reformulation and massive advertising) than a ban their advertising. Or that organisations, such as hospitals, leisure centres and local authorities, ban sales of these products on their premises. The consumption of these products is not a matter of consumer behaviour or individual choice. It’s a consequence of multi-billion dollars being spent on advertising. And look at the $billions: Mondelez spent $1.25bn in 2017, PepsiCo $4.1bn and Coca Cola close to $3.96bn. Imagine the savings made to health and wellbeing budgets, and the contribution to the world’s depleting resources of land, soil, and water, plus the demands made on energy systems were this $9.31bn not spent. Yes, I do understand the impact this would have on retailers from the family-run corner shop to the supermarket chains. These products have much longer shelf-life and far higher profits than, say, broccoli. We already have a two-tier food system, with sufficient, safe healthy foods if you can afford it. We need a radical change to our food supply system for everyone to have access to sufficient, safe, nutritious food. Is our social policy instead: let them eat chocolate . . . twenty-two years on from the 1996 World Food Summit? Links to earlier posts in this series: Part I, Part II and Part III.